CRTA presented recommendations for improvement of electoral conditions by 2020 at the conference held on March 25, 2019 at the Media Center Belgrade. “Implementation of these recommendations is possible and necessary in order to bring improvements of electoral conditions. We have reduced the focus to legislative changes to a minimum and have instead emphasized the need for changes of the electoral practice. With these concrete measures proposed we want to contribute to the opening of a dialogue about improvements of electoral conditions in Serbia”, CRTA Director Vukosava Crnjanski stated. “Voters’ confidence in the election process decreases, while election irregularities no longer relate to the election day only, but are largely connected to the election campaign period”, emphasized Rasa Nedeljkov, CRTA Program Director. “Abuse of public resources, public officials’ campaigning, pressure on employees in the public sector, along with unequal media coverage of electoral contestants are the main areas where legislative interventions are needed. On the other hand, the least demanding area is related to the transparency of the electoral process, where updating of the voters list, publishing the polling board records and enabling access to accredited observers to all segments of the elections are necessary”, said Nedeljkov. He pointed out that larger and more complex changes are needed in protection of voting rights and strengthening professional capacities of the election administration, areas where particular attention was dedicated within recommendations. Results of the public opinion research “Audit of Political Engagement in Serbia 2018” were also presented at the conference. The Research showed that majority of citizens recognize voting in elections as a mechanism of democratic participation that could bring changes, while the trend of higher support to democracy as the best political system, with decreasing support to the strongman politics, was also recorded. 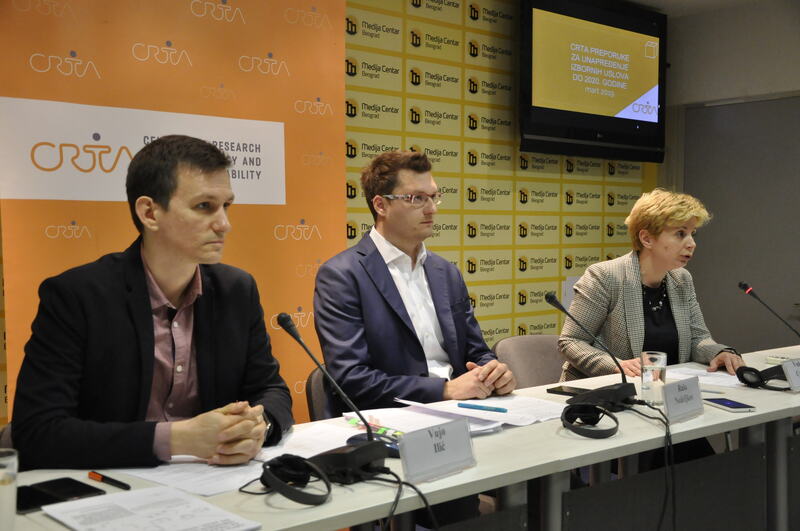 On the other hand, citizens’ trust in the core institutions of democracy is low, and only 11% of citizens believe no irregularities were identified in previous elections, said Vujo Ilic, CRTA Lead Researcher. “We may see that significant percentage of citizens clearly understand the problems of election irregularities, show support to initiatives aimed at improvement of electoral conditions and are aware of the need for an independent election observation. However, much less citizens express support to the boycott of elections as a mean to answer these demands. The results of the research point to further polarization of society and the need for opening of a dialogue on improvements of electoral conditions”, assessed Ilic. The entire panel discussion is available here.